Lenovo owned Motorola recently launched two high-end smartphone, the all new Motorola Droid Maxx 2 and Motorola Droid Turbo 2(Motorola Moto X Force). Motorola Droid Maxx 2 is available in USA at $384 (approx. Rs. 25,000) Black with Deep Sea Blue Back and White with Winter White Back while Motorola Droid Turbo 2(Motorola Moto X Force) is available at GBP 499 (Approx. Rs. 49,900) for 32GB and a GBP 534 (Approx. Rs. 53,400) For 64GB in Black Ballistic Nylon color option through Verizon. It will counter HTC, Samsung and Lenovo and Xiaomi in mid-range market. 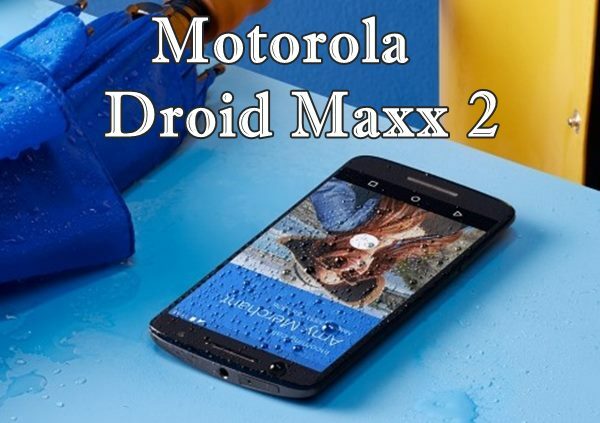 The all new Motorola Droid Maxx 2 supports Dual -SIM(Nano SIM), 4G LTE, with TE Cat 4, Bluetooth, Wi-Fi, Micro-USB, and GSM/ EDGE/ HSPA+ comes with a 5.5-inch Full HD display with resolution (1080×1920 pixels) with Corning Gorilla Glass 3 protective offers stunning colour consistency with 360 degree wide angle-view perfect for watching movies, playing games, web browsing and reading e-books. Motorola Droid Maxx 2 runs on Android 5.1 Lollipop powered by powerful 64-Bit Octa -core Qualcomm Snapdragon 615 processor clocked at 1.7GHz with 2GB of RAM makes your multi-tasking breezy and creates immense gaming environment and reducing hit allows to run your apps smoothly while 16GB in-built memory 128GB MicroSD card slot offers enough space to store your favorite data. Motorola Droid Maxx 2 offers you huge 21-MegaPixel rear camera with dual-LED flash, CCT (Colour Correlated Temperature), Phase Detect Auto-Focus (PDAF), autofocus and f/2.0 aperture perfect for shooting in low light condition and a 5-MegaPixel front camera for video calling and selfies powered by a powerful 3630mAh battery with Turbo charging 10 hour battery life in 15 min (Quick Charge 2.0) offers you battery life up to 48 hours for mixed uses measures 149.80 x 78.00 x 9.20 and weight just 169gm including innovative features like Water repellant Nano-coating (IP52 certified), Moto Assist, Moto Display, and Moto Voice. Motorola has recently launched Motorola Moto X Play priced at s. 18,499 for 16GB and Rs. 19,999 for 32GB than launched Moto X Style priced at Rs. 29,999 for 16GB and Rs. 31,999 for 32 GB. At last few honest word, the all new Motorola Droid Maxx 2 is the best mid-range smartphone packed with next generation features. What you think.? Please be open to give your view.